During my time at E3, I was able to play quite a few VR shooters. And one that definitely stands out is Arktika.1 by 4A Games (Metro Franchise). Like its other games, Arktika.1 takes place nearly a century in the future. Players will navigate a post-apocalyptic world that has been overrun by raiders, marauders, and strange creatures. Most of the world has become uninhabitable minus the equatorial reasons due to a new ice age overtaking the planet. Small groups have created colonies in locations that are richer in resources. And it’s up to you to protect the colony from outside threats. The beginning of my time with Arktika.1 has placed me in the gun range to test out weapons and find which ones I’m most comfortable with. There was a nice variety of weapons to choose from, and they range from pistols to magnums and energy weapons. Each weapon is customizable with scopes, flashlights, and more. And for those who like to add some flair to their arsenal, a paint gun is supplied to color your weapons. From my time with the demo, enemies rarely ever get close enough for me to test melee combat. Although I was able to pick up a few random things, these were mostly for solving simple puzzles such as encoding key cards to open doors. Most of my time is spent defending from raiders that look like military type enemies in other games. With that said, there were the occasional encounters with strange beasts that would attempt to slash and claw at anything in their way. 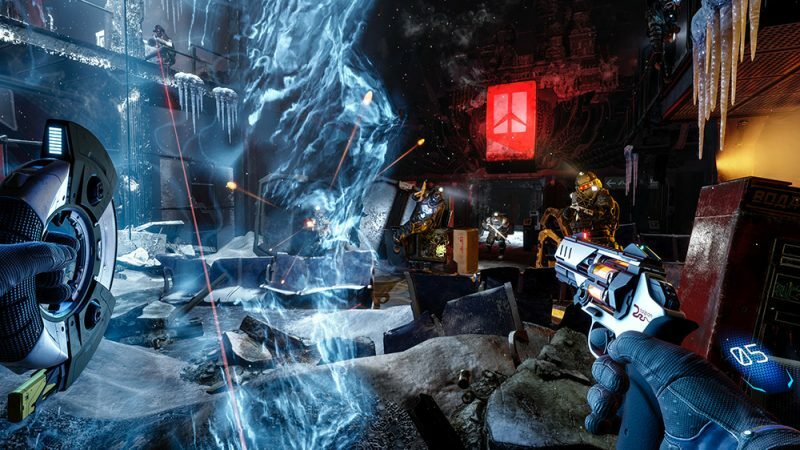 Arktika.1 by far is one of the most visually developed VR games that I have gotten my hands on. And the small demo gave an indication of a solid story underneath it all to prevent it from being just another VR shooter. Check out the story and gameplay trailer below and get ready to try and survive the next apocalypse. Arktika.1 will be available in Q3 of 2017 for Oculus Rift.